What are the top Middle Eastern dishes to try? If you are going to travel to Dubai, or any other country for that particular matter, it is highly recommended that you try their local cuisine. Aside from saving huge amounts of money on travel expenses, going local also means learning more about their culture and making your tummy extremely happy. As one of the top tourist hotspots in the world, there are a lot of restaurants in Dubai that serve yummy breakfast, lunch, dinner, and even snacks. No matter how high or how low your budget is, you will definitely find a place to eat. For those who are going to this city for the very first time, here is a handy list of the top Middle Eastern dishes that you should try on your journey. As the saying goes, one should always “eat breakfast like a king” in order to have the adequate energy to face the challenges of the day. A typical Middle Eastern breakfast consists of flat bread with Zater and white goat cheese. Zater is a dish that is made of thyme, sumac, and sesame seeds. 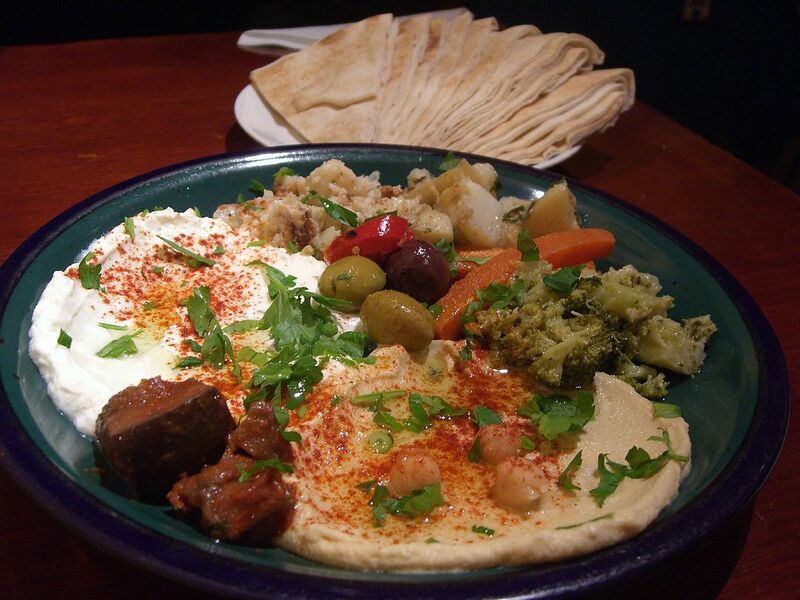 In addition, the flat bread can also be served with falafel, honeycomb, eggs, fresh fruits, or yogurt. For the beverage, you can choose to drink Turkish or Arabic coffee. Another dish that is part of a traditional Middle Eastern breakfast is hummus. This healthy meal is made from olive oil, lemon, and chickpeas. It is commonly served as an appetizer. For lunch, one of the most highly recommended meals that you should try is the Al Harees. This dish is made of wheat and meat. Its cooking process is simple, but it takes a long time to prepare it. The main ingredients will be boiled in water for several hours. Afterwards, it will be further cooked inside a clay pot for a night. Al Harees has a salty flavor so it is mixed with other spices to enhance its taste. The night life in Dubai is exciting because the city is lined with casinos, bars, and clubs. If you’re looking for something to eat after partying, you should try eating Shawarma. Due to its popularity, even other restaurants from across the globe are creating their own unique version of this dish. Similar to kebab, shawarma has pickles, tomatoes, garlic sauce, and onions. However, the difference is that it’s wrapped in flat bread. Have you tried any of these dishes before? Post your thoughts in the comments!